Why Empty Stores Are Becoming Warehouses | Affiliated Warehouse Companies Inc.
Posted February 11, 2019 & filed under Warehousing Industry. If you own a company that’s looking to rent warehouse space, you’ve probably noticed that there’s not a whole lot of it out there right now. The demand for warehouse space has grown exponentially over the course of the last few years thanks to the e-commerce boom, and it has left a lot of companies searching for whatever warehouse space they can find. As a result, there are many companies that are taking old retail stores and transforming them into warehouses all across the country. 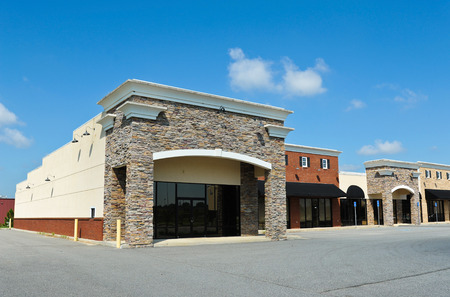 Major real estate firm CBRE conducted a study on this phenomenon recently and found that there are a lot of companies completing what they’re calling “retail-to-warehouse conversions” in different parts of the U.S. From an old Toys ‘R’ Us store in Milwaukee to former malls in Atlanta, Chicago, Baltimore, and Detroit, there are so many different stores that are becoming warehouses almost overnight. And it appears as though companies are going to continue moving in this direction as long as the demand for warehouse space remains high. There are myriad reasons why companies are finding so much success when converting old retail stores into warehouses. For starters, most of these spaces offer them the room they need to create warehouses. They also include features like large dock doors and high ceilings that are essential when putting warehouses together. There is almost always more than enough parking outside of these facilities, and they’re also usually located in areas that allow companies to staff their renovated warehouses without a problem. At Affiliated Warehouse Companies, we understand how hard it is for some companies to find warehouse space in the U.S. as well as in Canada and Mexico right now. We make it our mission to track down warehouses for these companies in the areas in which they operate. Call us at 732-739-2323 today to see some of the best warehouse locations in your city.